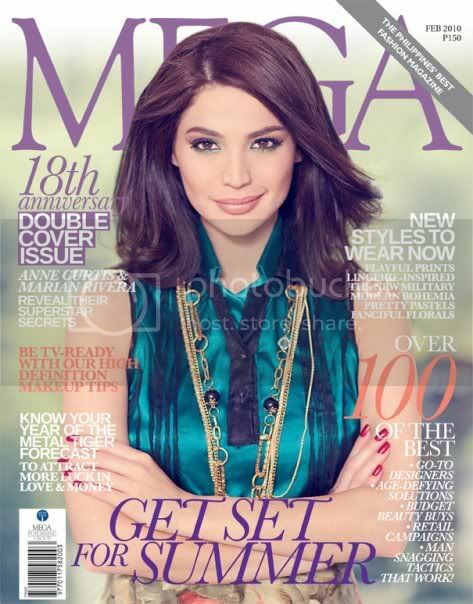 Aside from Marian Rivera, Anne Curtis is also on the cover of MEGA Magazine's 18th anniversary issue this February. This is already the third time (if i’m not mistaken) that Anne Curtis graced the cover of Mega Magazine. The first one was last September 2008 when the kapamilya goddess donned an elegant black long gown. The second time was just a year ago, February 2009, MEGA’s 17th anniversary issue. MEGA magazine’s February 2010 issue with Marian Rivera and Anne Curtis on the covers is now available nationwide wherever magazines are sold.